One of the handicap tubs installed by L.J. 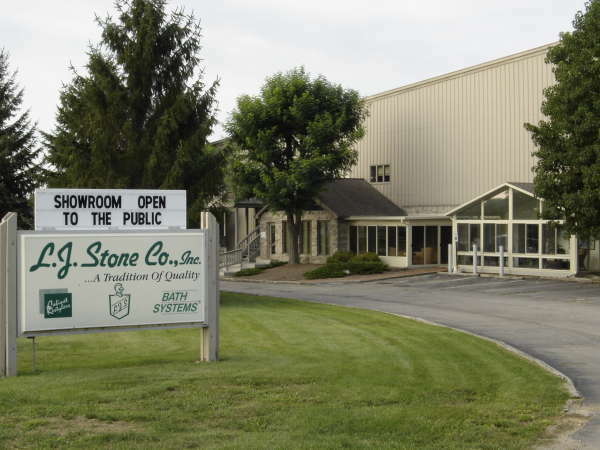 Stone Company, Inc. is a must-have for people with mobility issues living in Indianapolis, Muncie, Kokomo, IN, or a nearby community. It’s easy for anyone to slip and fall while stepping over the high wall of a traditional tub, so if you’re at all limited in your mobility, there’s no reason for you to take such a risk when a practical solution is just a phone call away. L.J. Stone offers a wide selection of handicap tubs, also known as walk-in tubs, equipped with special safety features, including a door built in the tub wall that allows for safe, easy entry. The sturdy tub walls and safety grab bars provide plenty of places for you to hold on to so you can stabilize yourself as you move in and out of the tub. Slip-resistant floors can also help prevent hazardous slip-and-fall accidents. And, once you’re inside the tub, you won’t need to worry about lowering yourself down to the tub floor, as you’ll have a comfortable chair-height bench to rest on as you bathe. But there’s lots more to like about these handicap tubs than just these safety features. For one, the clean look of one these tubs can do wonders for the aesthetics of your bathroom. Plus, because our handicap tubs are made of durable, non-porous acrylic, they’ll maintain their great look much longer than a traditional tub would. Also, the fact that they’re made of acrylic means less work for you, as they’re mold- and mildew-resistant, and are much easier to clean than tubs made of other materials, such as fiberglass. And last but not least, don’t forget the spa-like features of our handicap tubs, everything from massaging jets to soothing air bubbles, all designed to help you relax. We’ve been in business since 1967. We offer a two-year written warranty on all work we do. For more information about having one of our handicap tubs installed in Indianapolis, Muncie, Kokomo, Indiana, or nearby areas, contact us today.